It includes modules that enable you to receive data from 3rd party software and send data to them. * Enables you to receive data from the 3rd party software that they currently use and send data to them. 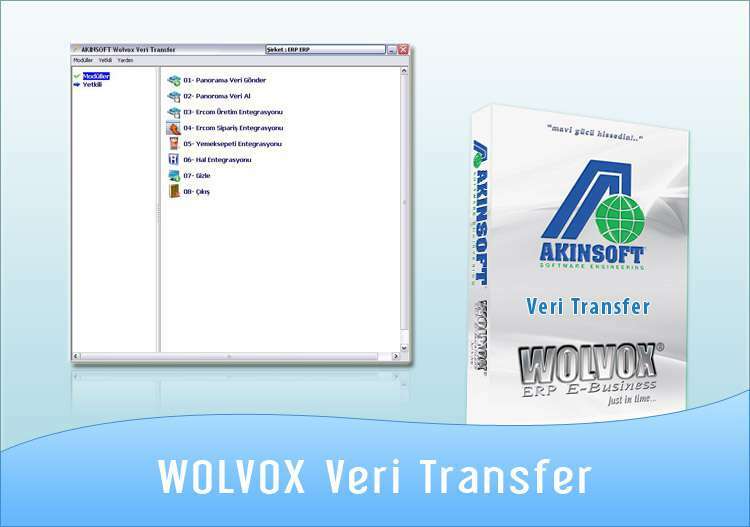 * Provides full integration of these data with Wolvox ERP. * If you use any program that is not in the program''''''''s modules, you can get help by contacting R&D department.